Volvo has come up with a solution to replace heavy batteries in cars, the technology could also be used in electric vehicles to replace larger batteries that are needed. 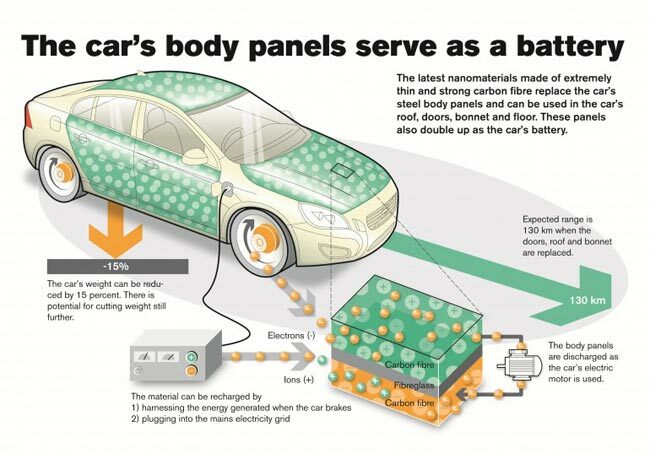 The new system is made up of carbon fiber body panels, that contain tiny nano batteries and super capacitors, the panels batteries are recharged using a regenerative braking system, the diagram below shows how the system will work. Volvo has said that this new system charges faster than standard car batteries, they have been testing out this new platform on a Volvo S80, and they replaced the trunk of the car and some other parts. There is an added benefit to using these panels, their is a significant weight saving which means that the vehicle uses less of the battery, thus giving it a longer range and improved performance. 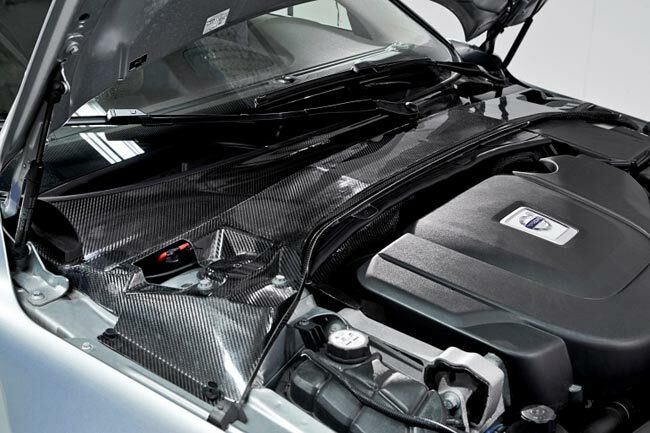 Volvo also placed a new panel under the hood of the car, and this panel alone is capable of replacing a vehicle’s 12v battery, so the technology could also be applied to standard cars as well as electric vehicles. It certainly does sound very interesting, and the technology could be applied to existing electric vehicles by other manufacturers, which would allow them to increase the range of their vehicles and also make them more energy efficient by reducing the weight.